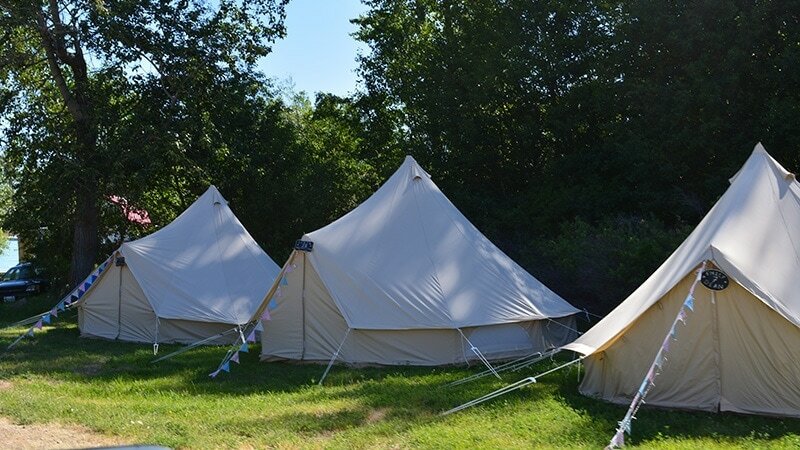 Luxury bell tents set up prior to your arrival, so just drop your bag and head down to the river! NEW! 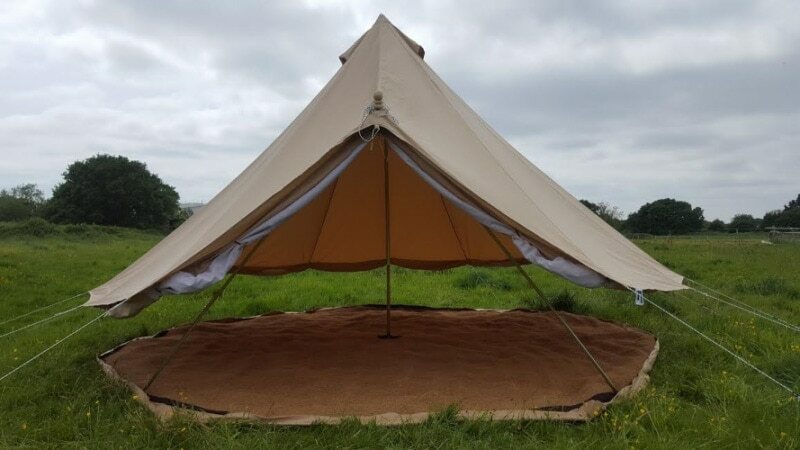 We have doubled the amount of bell tents for 2019 and moved them to a new premium location, Klondike Village! Located a few steps from Kahuna nestled in among the hoodoos with gorgeous riverfront views. The luxury bell tents will be completely set up prior to your arrival, so just drop your bag and head down to the river! Wild Haven hosts are on site daily to top up your air mattresses, answer your questions and make sure you have everything you need to enjoy a weekend of glamping! All bell tents require a $150 per tent damage deposit that will be refunded post-festival upon successful tent inspection.